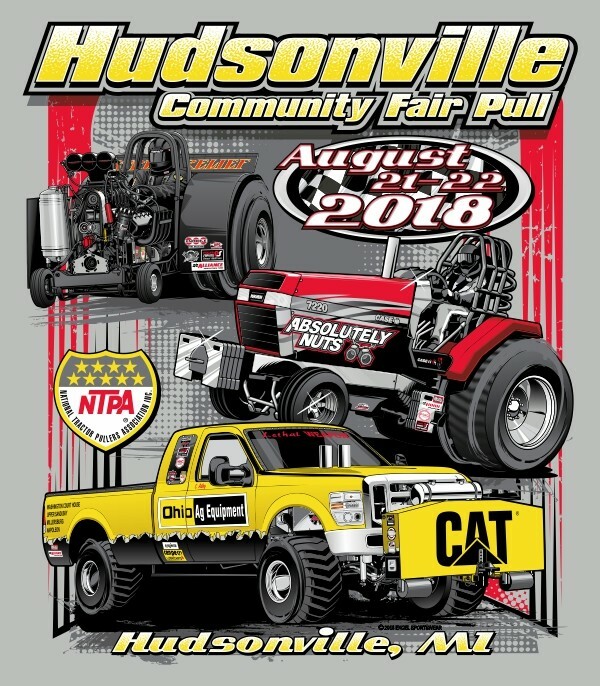 The Hudsonville Community Fair Pull featured some of the best of NTPA's Region II and GN competitors. This year's light grey event shirt does just the same! Back design: Todd Bultman's "Stress Relief" Mini, Brady Ferris' "Absolutely Nuts" Super Farm, and Carl Atley's "Lethal Weapon" Diesel FWD. Front, left chest: "Hudsonville Community Fair Pull 2018." 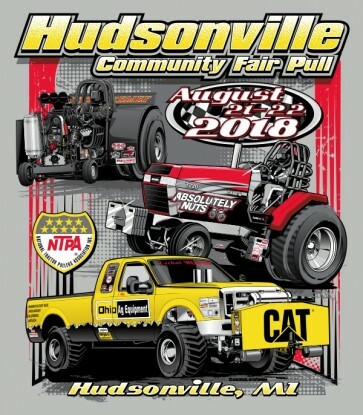 The Hudsonville Community Fair Pull featured some of the best of NTPA's Region II and GN competitors. This year's light grey event shirt does just the same! Back design: Todd Bultman's "Stress Relief" Mini, Brady Ferris' "Absolutely Nuts" Super Farm, and Carl Atley's "Lethal Weapon" Diesel FWD. Front, left chest: "Hudsonville Community Fair Pull 2018."